Additional Features and Amenities Welcome home to your own private retreat, surrounded by nature. This is country living at its best! This house melds casual and formal living and is just perfect for entertaining. Featuring a two-story entry flanked by a formal living room and dining room that flows into an open living plan with a breakfast room and family area. The second floor has an open landing which leads to the four generous bedrooms. The lower level is ready to customize your way. Relax and enjoy the view from any window or outside on the deck or front porch as you enjoy the privacy that this tucked away lot provides. 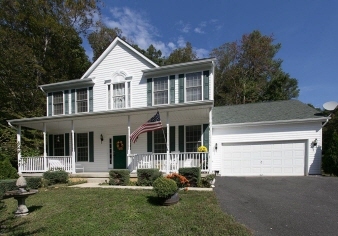 The home is close to the Pax River Naval base and all the amenities. This one checks all the boxes!